Strawberry Chic: Something Sweet: Everything Pumpkin! When I was was younger, pumpkin pie was one of my least favorite desserts. However, it must be true that your taste buds change over time because I now LOVE pumpkin pie...and basically everything with the word "pumpkin" in it. 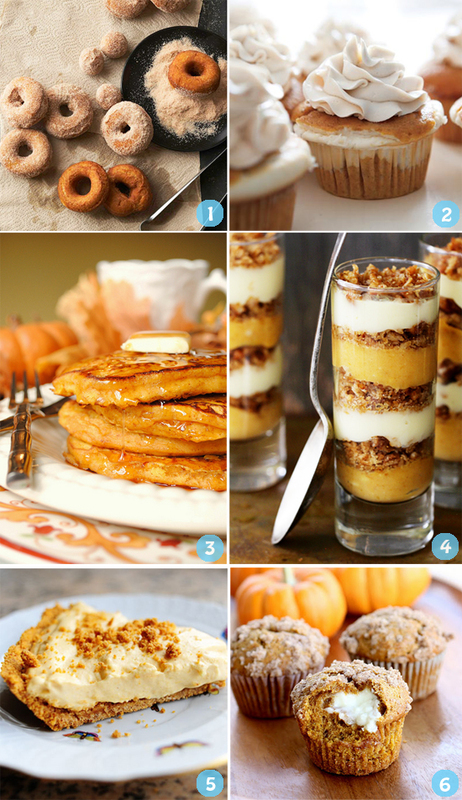 I am so excited to make any and possibly all of these pumpkin desserts! What Pumpkin recipes will you be making/trying this season? The pumpkin trifle looks amazing! I made Pioneer Woman's pumpkin cream pie last Thanksvgiving and it was a hit! Number 4 looks SO GOOD! I am inspired now, thanks for sharing! I want all of these!! Pumpkin anything is the best. Ha, what a coincidence! I just made my very first pumpkinpie last week and only one of the kids really liked it. Thanks for sharing these recipes. I will certainly try some!